Finance ministry official in Puntland sentenced to 4 years behind bars. International Civil Aviation Organization (ICAO), UN agency specialized in aviation, must know that Somalia has no formal government that controls or functions across its territory in last thirty years. It is unfortunate that the regime in Mogadishu is not on the right path to recovery until now. The government institutions including the airports don’t function according to international standards. On 12th Dec 2018, the UK government submitted report to the UN Security Council over the corruption and lack of discipline in the Somalia Army, including high-ranking officers linked to Al-Shabab. The report highlighted that Al-Shabab, Al-Qaeda linked terrorist group in Somalia, purchase arms and ammunition from the army including sophisticated weapons. The African Union Forces (AMISOM) and Turkish Forces, along with international community, are equipping and training the Somalia Army, however, many of these arms and trainings are ending up with Shabab. There are many well-trained officers joining Al-Shabab. The report recommended that salaries of the Somalia Army to be increased or paid regularly to reduce the need of ‘Weapon-For-Money’ which is allowing Al-Shabab to purchase directly from the army officers, or in many occasions through middlemen. Al-Shabab is winning the sympathy and support of the civilians in Mogadishu, where many residents of Mogadishu seek justice in the courts run by Al-Shabab due to corruption on government institutions. Chairman of Banadir Appeal Court Judge\ Abshir Omar Abdullahi announced that the government arrested two citizens who pursued justice in Al-Shabab courts. The government courts in Mogadishu are corrupted, because always the richer wins the case, and government does not control in many areas to execute the court decision. In other hand, Al-Shabab courts are not corrupted and no one can oversee or reject the decision of the court regardless of where the citizen lives in Somalia. Al-Shabab openly organize public speeches and Zakat distribution concerts at Bakara Market of Mogadishu. The government remains helpless over the group’s public appearing. Oct 2018, the most senior figures of Al-Shabab participated in Zakar distribution at Bakara Market, where every poor citizen got $200 as financial support from the group. Zakat was collected from the businesses including the rich in Mogadishu. Al-Shabab penetrated in every government sector including the presidential palace a.k.a Villa Somalia. The group have extensive presence at ADEN ABDULLE Airport, which allowed them to bomb DAALLO airline. The surveillance camera showed that many security officers at the airport allowed the bomb to enter the aircraft. Al-Shaban assassinates any government officer who opposes their agenda, as they killed Eisa Bayle, a high-ranking officer at the airport. Today, the Somalians are not allowed to have access to the sensitive areas of AMISOM and US Army bases, in addition to diplomatic mission offices because Al-Shabab uses Somalians to infiltrate. Somalia’s Intelligence agency (NISA) is another hub for Al-Shabab operations, where the information of bombings is kept secret and released after incident. Reports showed that NISA was fully aware of ZOBA building bombing that killed 500 innocent people in the heart of Mogadishu. Al-Shabab ask recruits to join the Somalia like the case of soldier Ismail Abu Bakr who was former Somalia Army Officer. Bakr joined the intelligence services wing of Al-Shabab called ‘Amniyat’, and currently member of the Somalia Army where he operates at Wanlaweyn Area. He is one of the thousand officers who are members of Al-Shabab but working for the government. Despite the poor security, ADEN ABDULLE Airport has safety standards that is very little to accommodate international airlines. The firefighting system proved to be below international standards after last year’s fire took many hours to control. The fire loss value is unclear until today. The civilian employees, and military helped to put out the fire with their bare hands. The international community particularly the western countries and Turkey are working tirelessly to ensure effective government in Mogadishu, in addition to African forces who are battling the Al-Shabab. We can say the world is working hard to help the regime but very little is materializing on the ground due to incompetency and corruption. Even though the security in Somalia is very fragile including airport, corruption, incompetent staff and poor aviation standards at ADEN ABDULLE Airport, in addition to ability of Al-Shabab to fire rockets to the airport. Knowing all the above facts and sensitive airspace, there are reports saying the ICAO is transferring the control of the airspace of the Republic of Somaliland and Federal Republic of Somalia to Mogadishu administration. 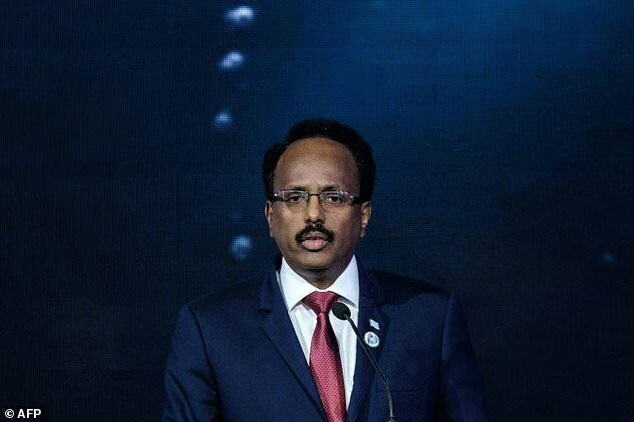 If ICAO attempts to transfer the airspace control to Farmajo regime, such act is direct violation to the international aviation safety and agreement between Somaliland and Somalia in Turkey. Al-Shabab and other terrorists groups in Mogadishu could easily breach the ADEN ABDULLE airport security.